Michael Gallagher has just been appointed the deputy director for conservation at the Metropolitan Museum of Art. But soon after he joined the New York institution 13 years ago, he says, a particular Italian Renaissance work caught his eye. He felt that The Entombment (1554) by Moretto da Brescia “was one of the saddest-looking pictures in the collection—in terms of its condition and appearance—yet I always felt it was just a truly great painting”. Only recently has he had the chance to work on it: after more than a year in the studio, the restored painting will be back on view later this month, as the collection undergoes a substantial rehang while the museum renovates its skylights. Moretto was a leading artist in the northern Italian Brescia school, “the great precursors of Caravaggio, who grew up in that area”, says Andrea Bayer, a curator of European paintings at the Met. The Entombment was Moretto’s final major work, completed for a Brescian confraternity in the year he died. “It’s a painting of incredible, sombre power. When the museum bought it, the person who presented it to the trustees and then to the public said that to him it was like a late Beethoven sonata: sonorous, monumental, grand and very moving,” she says. Gallagher has taken away those earlier retouches, removed and replaced the glue lining that no longer held down the seams of the different parts of the canvas, “so the picture almost looked bisected”, and retouched areas that had “quite a few losses”. He was in the final stages of retouching when he spoke to The Art Newspaper. “Of course, there is a lot more that I could do, but my aim is to do just enough to suppress damage,” he says. If a visitor were to take a magnifying glass to the picture, the retouches would be visible, he acknowledges. “But the point is that when you encounter that picture now, in the galleries, you’re much more likely to be moved.” Despite his interventions, “the grandeur of that painting, its monumentality, its extraordinary emotional impact is 100% Moretto”, he says. Moretto's painting could have ended up in the collection of the National Gallery in London were it not for a typically 19th-century sense of propriety on the part of its director between 1855 and 1865, Charles Lock Eastlake. He went to look at the painting at least twice, according to the Metropolitan Museum of Art’s European paintings curator Andrea Bayer, and “realised it was the late masterpiece by the artist". But there was a problem. 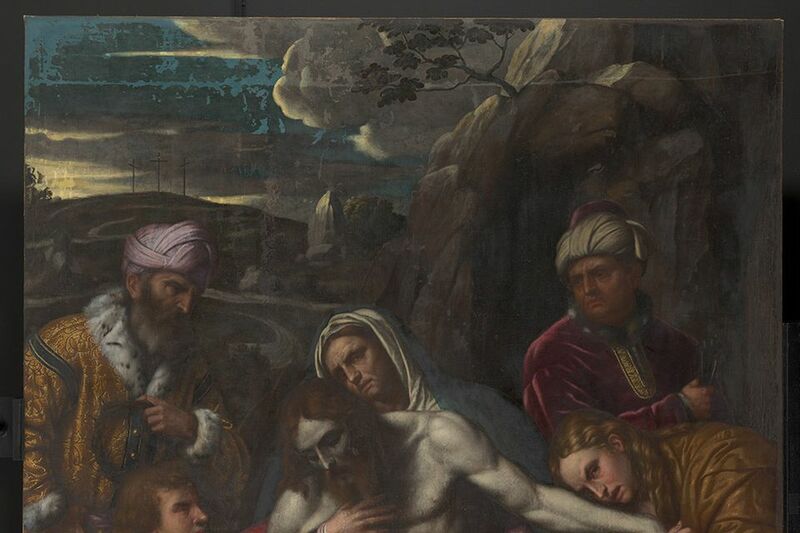 "He was disturbed by the fact that the Virgin is holding up the dead Christ and has her hand directly on his stomach and it is right in the middle of the picture. And he just found it indecorous," Bayer says. 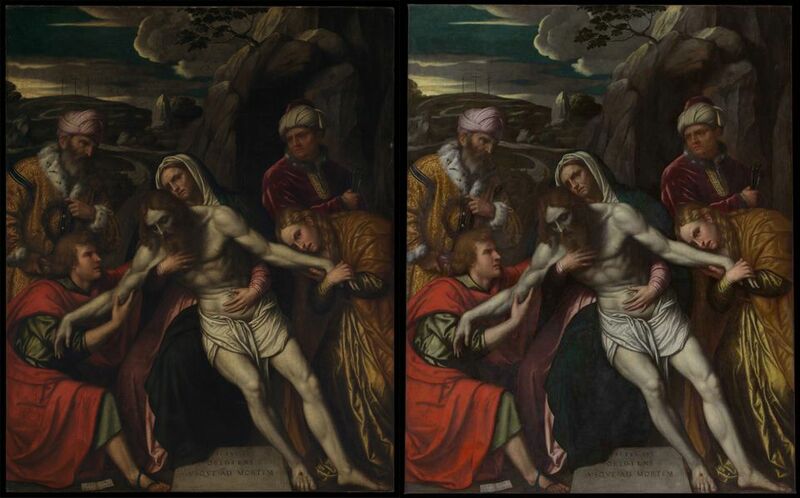 So the work nearly went through a very different form of retouching to the one recently performed by the Met’s deputy director for conservation, Michael Gallagher. "As he did with other works, Eastlake considered whether he could get one of the conservators active in Milan at the time to paint a little drapery, so that the Virgin wouldn't be touching the skin of Christ. In several other pictures in the National Gallery, he went through with that kind of idea, but here he rejected it and decided that it was not going to enter into the National Gallery collection." 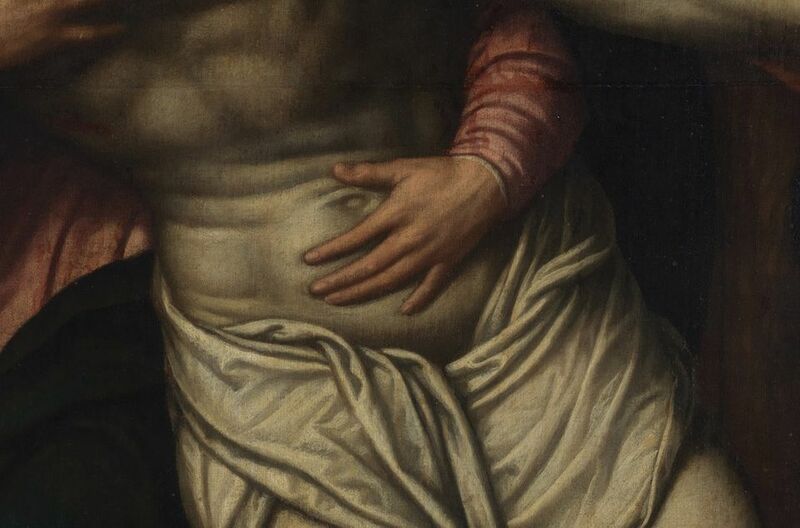 And so the painting entered the Met decades later, with the Virgin's hand intact on Christ's belly. "I don't know if that was because we were dragging ourselves out of the Victorian era, or if it just didn't bother the people who looked at it," Bayer says.